This machine is the most compact VAX model. The VLC name is supposed to mean ``Very Low Cost'' or ``VAX Low Cost'', but is sometimes jokingly explained as ``VAX Laptop Computer''. Of course this is definitely not a laptop, but its size is always a surprise to people who think VAXen only exist in fridge-sized cabinets. 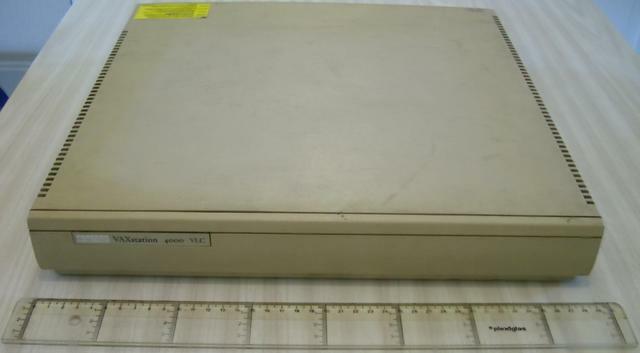 The VAXstation 4000 VLC was introduced to replace the ageing entrylevel VAXstation 3100 model 30, with an about twice faster processor and more memory (the VLC accepts industry standard 72 pin FPM 4MB SIMMs with parity, in banks of two, supporting up to 24MB). 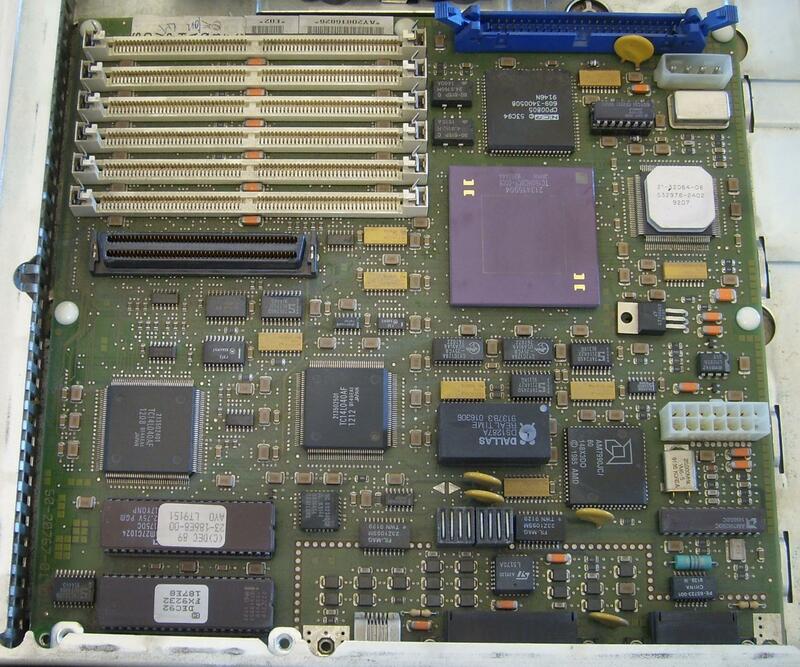 The Digital sales brochure was bold enough to suggest that, with the addition of the Digital SoftPC emulator, this machine was a legitimate alternative to PCs in the VAX VMS environment. The case is really small. Slightly smaller than 40x40cm, and only 6cm in height. Eight diagnostic LEDs in two segments of four. An MMJ printer or console port. A DB25 printer or serial port. The other connectors are on the side, close to the video connector. An audio output connector (RJ-9 phone jack). The so-called S3 switch, allowing to select between glass or serial console. A keyboard connector, also in RJ-9 form factor. And the other side of the machine sports the power button. By pressing the two small tabs at the bottom, the top of the plastic case can be removed, allowing us to peek at the machine internals. Things are crowded in there, for sure! 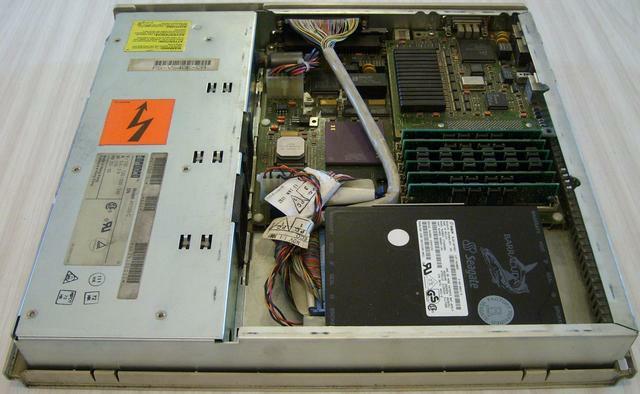 A large third of the case is devoted to the power supply, to the left, then the almost square motherboard only leaves room for an internal 3"1/2 form factor hard disk. 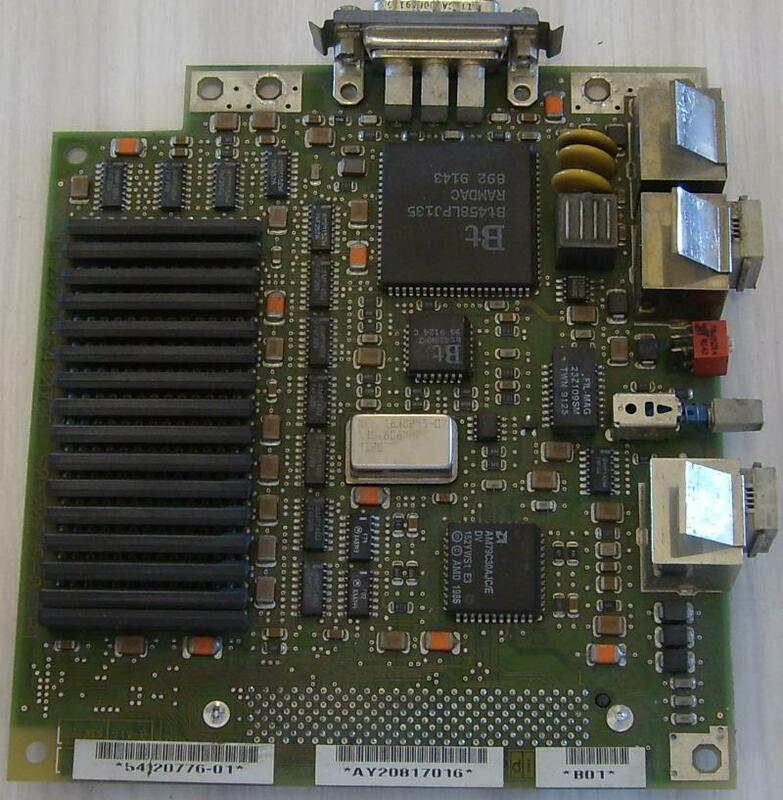 The motherboard is in fact two logic boards connected to each other. Here is a closer view of the main one. The daughter board, much smaller, provides the human interface devices: video, keyboard and mouse, as well as the audio device. One may think that, with the daughterboard removed, the machine would still run using the serial console; however it will not complete its self tests without the daughterboard present.